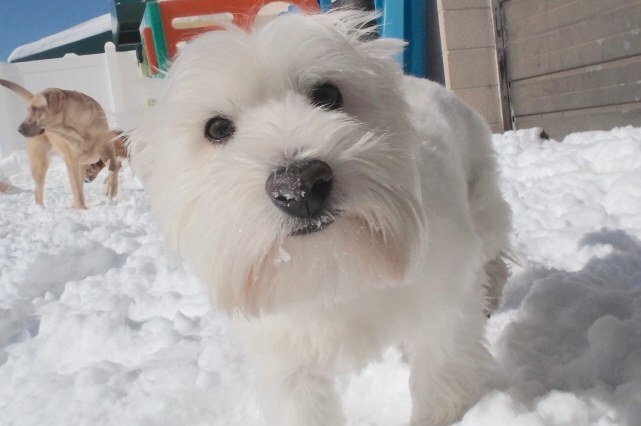 Congratulations to Maddy the West Highland Terrier! Maddy enjoys giving other dogs face kisses and spreading joy across 4-Legged Friends. She plays on Bark Avenue with other smaller breeds, but has a special place in her heart for larger breed puppies. She’s so bouncy and full of energy, it’s hard to believe she’s not a puppy herself. When Maddy’s not running around with the youngsters in the group, she spends her time playing with Maude the Italian Greyhound and greeting new comers during temperament assessments. Even when she’s resting, Maddy has a way of making the world a happier place for everyone.